Hello, hello! Another week has come and gone. Why is it that during my summer vacation the weeks seem to fly by but during the school year they drag on forever? Last week was our biggest party yet and I am so amazed by everything you all linked up. I want to make everything from last week's link up and I ended up picking four features this week (almost all desserts!) because everything looked so good. 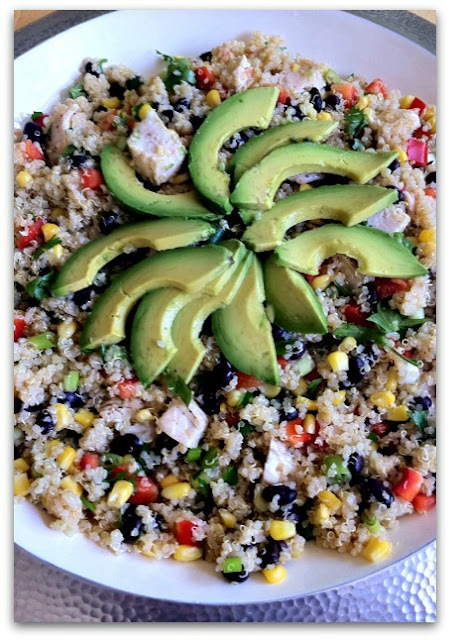 The first feature of the week is a healthy one to precede the parade of desserts to come. We are still learning to cook and experiment with quinoa and this Southwest Quinoa Salad from Dishing With Leslie is something we will trying soon. 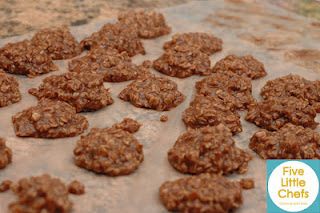 Next up are these delicious looking No Bake Cookies from Five Little Chefs. Living in South Florida, I am very partial to any type of dessert that doesn't require turning on my oven, not to mention how yummy these sound. Justin and I love peanut butter pie. We love testing out different version at restaurants and we have actually made quite a few different recipes at home in an attempt to find the perfect one. 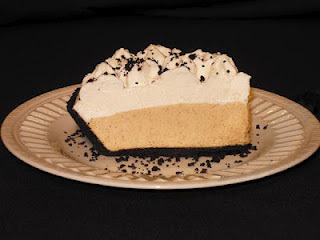 This Peanut Butter Pie from Delightful Curiosity caught my eye right away and has already made its way onto our list to make. 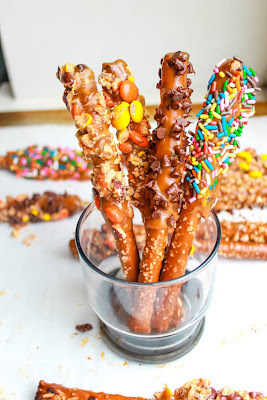 Last but in no way least are these decadent Loaded Caramel Dipped Pretzel Rods from Sally's Baking Addiction. Talk about ridiculous! Warning: DO NOT visit this website if you are counting calories or trying to stay away from sweets. Every single post is more mouth watering than the next. I spent way too much time on it this week pinning one million desserts to try. Are those crazy cat cookies? What a coincidence that I just made half a batch! I WANTED TO THANK YOU FOR THE FEATURE KAYLEE, IT IS SUCH A WONDERFUL THING WHEN I AM JUST SO GRATEFUL TO BE ABLE TO PARTICIPATE IN YOUR WONDERFUL PARTY!! THANK YOU FOR HOSTING AND GIVING US SUCH A GREAT PLACE TO SHOW OFF OUR CREATIVE SIDES EVERY WEEK! !